Nosram now offers a completely new high-performance forward/brake/reverse speed control line. 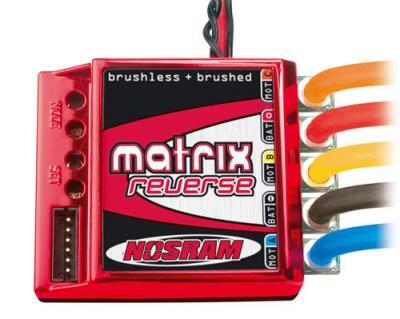 With the Nosram reverse line you get all the same great features and motor limit as the Matrix Evolution and Matrix Evolution ISTC, with the addition of a reverse function. 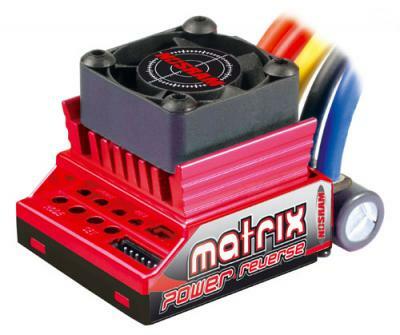 In addition to this it also features NiMH/NiCd/LiPo and brushless/brushed automatic adaptation resulting in the most versatile and adjustable speedos ever.